DRDO hopes to speed up development of Maritime Patrol Radar, Synthetic Aperture Radar, Data-link, Electro-optics and EW systems with the acquisition by LRDE of a dedicated DO-228 Flying Test Bed (FTB) named "Nabhratna." The aircraft was handed over to LRDE by HAL on May 1, 2014, six months ahead of schedule. On May 30, 2013 LRDE signed a contract with HAL for the supply of one DO-228 along with spares, tools and publications for use as FTB. The establishment had earlier loaned DO-228 aircraft from the IAF and IN, but service exigencies often led to delays in obtaining the aircraft. Nabhratna DO-228 is equipped with indigenous synthetic Aperture Radar and state-of-the-art avionics and communication system. 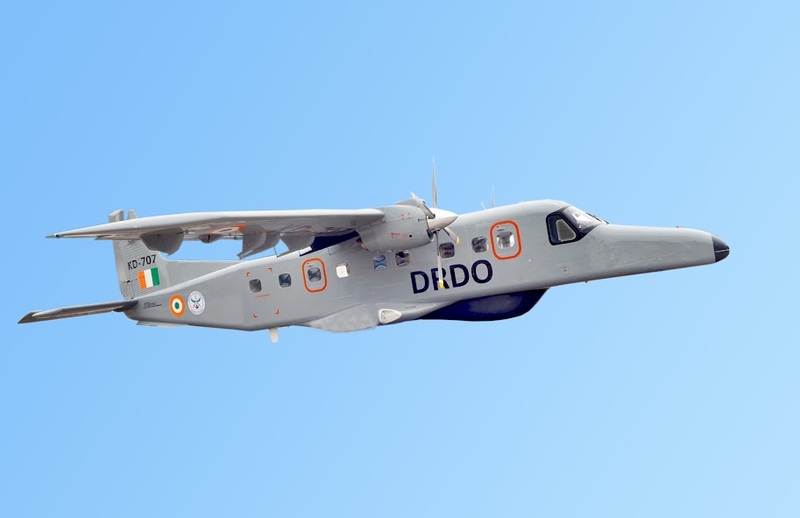 According to DRDO Chief, Avinash Chander, "The use of flying test bed (FTB) aircraft will reduce the cycle time for development for airborne system." The DO-228 is a 19 seat, high winged, rugged and fuel efficient aircraft powered by twin Garrett TPE 331-5 Turbo prop engines. It is capable of short take-off and landing from semi prepared runway and has adequate range to fulfill multiple roles. HAL manufactures, overhauls and repairs the Garrett TPE 331-5 Turbo prop Engine for various customers under licence from Garrett Engine Division of Honey Well Company [earlier Allied Signal Aerospace Company, USA] since 1988. The Garrett TPE 331-5 Turbo prop belongs to a popular series of small turbo prop Engines powering a large number of commuter and corporate aircraft. Simple in design, the engine has a single shaft Centrifugal Compressor and is rated at 715 shaft horse power at 1591 RPM output speed. It features a propeller control system, anti-icing and foreign object damage resistance, reverse thrust and negative torque sensing facilities. DRDO is developing the Maritime Patrol Radar (MPR) for use on DO-228, KA-32, Dhruv ALH, and Rustom 2. MALE UAV. The radar is designed for search, rescue and maritime surveillance missions.